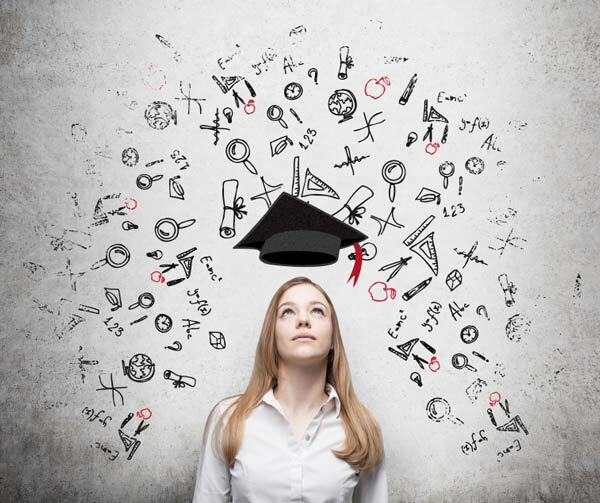 Do you really need to get a job right after you graduate? Having a gap in your resume might seem like a bad idea, but millennials and career experts say it could make you a more interesting candidate. For the average American student, at least 16 years of your life are spent in school, and the journey after college graduation starts—hopefully, at least—with getting a full-time job. That’s the gameplan, right? But for some, the idea of immediately going to work is daunting. But believe it or not, taking time off before entering the workforce can have its perks. While how your downtime is perceived by employers hinges on a number of factors—some within your control, some not—the so-called “gap year” doesn’t have to be a negative point on your resume. Intrigued? We spoke to millennials and career experts alike to determine if you really need to get a job right after you graduate. What they said might surprise you. Millennials have an easy time of seeing both the pros and cons of taking time off. While economic factors like student loans have an impact on whether one sees taking a gap year as a luxury or a necessity, a survey conducted by UK career site Milkround found that 88% of graduates reported that their gap year had significantly added to their employability. The gap year trend has only recently taken off in the U.S., according to FastWeb, an online scholarship matching and college search service—but the results are rewarding, to say the least. Research from the American Gap Association, a nonprofit organization researching the benefits of gap years, shows the majority of gap year participants found taking time off helped them acquire skills to be successful in their career, impacted their career decision, and ultimately, helped them find a job. Kelsey Reinke of Seattle spent two years working odd jobs and traveling before landing her current role as a cargo agent at Delta Airlines. She found taking time off beneficial both personally and professionally, suggesting it made her a better applicant. Hoglund, meanwhile, believes there is too much pressure on millennials to start working immediately and suggests trying to find a job before taking a trip. Here’s the big, obvious drawback of the gap year: If you decide to take time off, you’ll need to explain the gaping hole in your resume when you start applying for jobs. You’re bound to set yourself back a bit by waiting to start your job search. Wendi Weiner, a resume expert and owner of resume service firm The Writing Guru in Miami, thinks millennials should begin sending out their resume not just after they graduate, but during their final semester. Nevertheless, a gap in your resume might not be a total deal breaker—given you’re able to sell yourself in an interview. Elizabeth Atcheson, a career coach at Blue Bridge Career Coaching in Seattle, says the decision is ultimately up to you, and you should focus on what the benefits of taking time off. In the end, it’s probably better to do it now than it would be down the line when it would be harder to explain away a lengthy career gap. Regardless of when you decide to start looking for a job after college, you will want to take a smart, strategic approach to the process—it's going to feel like a bit of a challenge this early in your career, but that's where we come in. Could you use some help getting your job search off the ground? Join Monster today. As a member, you can upload up to five versions of your resume—each tailored to the types of jobs that interest you. Recruiters search Monster every day looking to fill top jobs with qualified candidates, just like you. Additionally, you can get job alerts sent directly to your inbox when a position becomes available, so you can be among the first to apply. When you're ready to embark on the job search process, Monster can ensure you'll be going in strong.